Wealthy Affiliate isn’t a 9 to 5 job but rather a training program. However, would you like to know how to make money at Wealthy Affiliate? It is possible and in this blog post I will explain how. It really is quite simple but it is not something that every member partakes in, which is one of the beauties of Wealthy Affiliate. There are many ways to learn how to make money online. When you become a Free Member or Paid Member of Wealthy Affiliate, you have a choice of which way you wish to make money online. You can either take the Certification Course that will teach you how to make money doing Affiliate Marketing of products you can find on Amazon and from other retailers, or you can take the Affiliate Boot Camp Course. The Boot Camp Course teaches you the “Make Money at Home Online” niche and in essence this is the niche that Wealthy Affiliate falls into. Being that Wealthy Affiliate teaches you the many different ways to make money on the internet with your own website, the Boot Camp Course goes into greater detail. Not only will the Boot Camp Course reward you with a thorough education in Affiliate Marketing, it can also reward you with money in your pocket. Would you like to know how? There are many earn while you learn programs out there but none that I know of, will pay as well as the one at Wealthy Affiliate. Take a look at the image below. This explains what you can be paid for getting other people to join Wealthy Affiliate and become a Premium Member. The amounts on the top are what Free Members can make. Yes, even the Free Members can earn revenue. But the paid Premium Members make 100% more than the Free Members. So it literally and figuratively pays to go Premium. As of September 13, 2016, Wealthy Affiliate has changed their monthly membership fee from $47 per month to $49. This now means that the Monthly Recurring Commissions have gone up 50 cents for Free Starter Members and $1.00 for Paid Premium Members, at $11.75 and $23.50 respectively. All other prices and commissions remain the same. Most of the members at Wealthy Affiliate know about the referral program described above. But like I said at the beginning of this post, many members do not partake in this form of money making at Wealthy Affiliate. However there is another way that not many people know about, or at least it seems that way to me. One of the many great characteristics of Wealthy Affiliate is its community of members, which have the pay-it-forward mentality. Early in the training we are all encouraged to help other members if we should know the answers to their questions. It makes the community feel like one big family, it really is great! But one way to give back is to create Training Tutorials, either video, text, or a combination of the two. However this is only available to Premium members. When you create training you get 5 credits, which is equal to $5. Depending on how many unique views, likes, comments, and shares it gets, the value will go up in increments of 5 and there is no limit. So after a years time you can make enough for a nice night out on the town, and that is just from one training. So I started creating training at Wealthy Affiliate as well. I already have over 150 training blogs, so now I am doing more in depth Training Tutorials and getting rewarded for it while helping the community. It’s a win-win scenario. Below is a link to one of my latest Training Tutorials. Take a look and tell me what you think in the comments below! So now that you see how much you can earn each month just from signing up one person to a Wealthy Affiliate Premium Membership, imagine 10 people or more. That will more than pay for your membership and then some. If you sign up 100 Premium Members, that could be enough to live on every month. But now let us look at how you can go about getting people to join. Obviously there is word of mouth and one great way to accomplish this is to promote Wealthy Affiliate for what it really is. A training program that teaches people how to build a WordPress website without programming it and then how to monetize it to make money. Another way is to share content on your website or Social Media, as depicted in the Infograph below. As you will see the possibility for earning some nice money is there and you can share any content, training, blog, and video within Wealthy Affiliate and get credit for anyone who joins from whatever it was that you shared with that person. Now I am not going to lie to you. If you join Wealthy Affiliate from any of the number of links I have on this website and you become a Premium Member, I will get a commission. It truly is a great way in how to make money at Wealthy Affiliate and get an education at the same time. There is one thing that stands in the way of you making a better financial future for yourself and that is procrastination. Many people think that they can start an online business and make a ton of money in the short term. Even with Wealthy Affiliate’s referral program, it will take time, perhaps months, before you will be making any substantial money. So the longer you procrastinate and put off starting your training, the longer it will take for you to reach financial freedom. So I invite you to join Wealthy Affiliate as a Free Member of the training community to test drive the first course of lessons. Then once you are ready, you can upgrade to Premium, make more money, and complete your education and websites. To see what I recently made in one month, check out the picture at the end of this blog post. To join you can click on the “Wealthy Affiliate University” advertisement widget I have above on my right side bar of this and every page on my website. You can also join on the “Join” link I have on my FAQ page or the multiple join links on The Wealthy Affiliate Review page. So you have a lot of ways to join for free. If you still have questions, please leave them below and I will get back to you. Its like you analyze my concepts! You appear to determine a great deal concerning this, like you made guidebook in this or maybe something. I think that you like a vast choice of images to assist the info residence a little bit, yet aside from that, this is outstanding post website internet site. A remarkable read. I’ll most unquestionably be in fact back..
That is good to hear Michael. Please do come back to my site when you have the time and also share this website with people that you know either through email or social media. My goal on this website is to not tear down other make money online offers and then promote Wealthy Affiliate as the better option. Though I will do that on occasion when applicable, my approach to this website is to help guide people who may be interested in various niches for the purpose of starting their own internet business. By showing them how to take any niche idea and turn it into a profitable website business with the help of the Wealthy Affiliate training. Extraordinary! This blog site web site looks particularly like my out-of-date one! This gets on a definitely different other subject nonetheless it has generally the specific same internet website style and design. Remarkable choice from colors!. Thank you Michael. I am happy you like my simple yet effective looking website style and colors. You are welcome Tanmay. I am happy that you liked the information I provided here about how to make money at Wealthy Affiliate and what else they have to offer their free and paid members. I also want to make money online brother but I dont know the system properly. The system for making money online is quite simple Sahil. You do not need to have any kind of technical knowledge, you can live anywhere in the world, as long as you can read and understand English, and you can earn money promoting any product or service that you desire. This form of internet marketing is super simple to perform, you just need to take some online training in how it is done. Even the training is easy to understand. Hundreds of thousands of people all over the world are doing this. You can read how it is done in a post I wrote describing how it all works called Affiliate Marketing – The Easiest Way to Make Money Online. You are welcome James. I am happy I was able to bring you some clarity. I learned about WA just by online searches as I was searching about another online business called SFI. A friend of mine introduced it to me and as soon as i signed up and started the training program and earning points, I had a very bad experience. Lets just say I stumbled on WA and have been reading about it for days, procrastinating. I have read many blogs and website from other affiliates and wondered who I should sign up under, given that I have no one I know who is in this business who i can trust. But so far I like your site the most! Still thinking :). I have a question. The two training channels you mentioned eg the bootcamp, do I have to pay extra for those or does the monthly fee cover for that? Thanks and keep on helping others! Thank you Esther. When I started at Wealthy Affiliate I too didn’t know anyone doing their program and was a bit skeptical. But because it was totally free to start I figured that I had nothing to lose. So I took the plunge and joined under the person whose website I was reading the WA review. It is now 3+ years later and I am a VERY happy and satisfied member. I make more per month through my various affiliate marketing programs and from other opportunities afforded to me from the WA training, than I have from any other make money at home offer I have tried. There are months where I even make more than I ever had on eBay as a PowerSeller. All it takes is learning what to do through the awesome and easy to understand WA training, and then working hard to apply what you learn. Knowing what I know now and after experiencing the success in making money from the WA training community, I now HIGHLY recommend it to anyone looking to start their own unique internet business. The one thing to remember is that this is NOT a get rich quick scheme because there is no such a thing when it comes to a legitimate job online. Real financial success only comes after you learn how to make it happen and put in a solid effort to reach your goals. This is why I trust Wealthy Affiliate, because they advocate learning and working hard. Those are the bedrock principles for every worthwhile thing in life. If I had known about WA years ago I would have definitely joined. Thanks for sharing this valuable post for us, it is very interesting and knowledgeable. First of all thank you for this helpful review. you add really some good points which i did not know about this site, but still I have a question that in wealthy affiliate website, it is really a needy thing to go premium for earn some money or can we do it also with a free account ? Hello Karen, You can earn money as a free member in the Wealthy Affiliate Referral Program but it will be twice as hard because you will not have access to all 50 lessons of the training on marketing on Google and Social Media and in email marketing. Though you can make money and get the first 10 lessons free, it will be harder and a bit limited on how much you can make as a free starter member. Well thanks for a gentle reply like i was feeling like one of mine friend is talking with me. anyways i was also expected that.Then Robert if anyone really need some money or not as much to pay for premium member account, then what he can do? i mean there is no any another way?? The only way you can make money as a free member is with the referral program, there is just so much more information everyone needs to know to operate a successful online business. If you do not know how to do something you can never be good at it and the same is true with running an online business. Every single person who makes an income online has to invest money but eventually with hard work you will be making more money than you spend. For about 8 months I spent $47 a month on premium and I sold about $50 worth of stuff on eBay and Craigslist every month to pay for premium. Then my websites started making money and now I make so much every month that I do not have to worry about the $47 anymore. And because of the premium membership training I have learned some new writing techniques that has allowed me to write blogs for other peoples websites for a couple of hundred dollars a month extra. There is a saying, “you have to spend money to make money.” If you join Wealthy Affiliate as a free starter member and really are serious about learning how to create a profitable online business, then I highly recommend you join because it really works as long as you work hard to make money. If you are looking to make quick money then it will not happen. There is not one single legitimate online business opportunity that will teach you how to make a full-time income online that is totally free. I think YES, you re right. you really have to spend money to make money. well, you know one thing, you both are awesome,your website and you Robert prescott. you are providing a well guidance to us(About online business) with your site. THANKS AGAIN Friend for a quite reply. have a nice day Robert. It is my pleasure Karan. I created this website to help people to understand the easy and inexpensive way to make money online so that they do not get scammed. I know I didn’t like it when I got scammed, so I want to help people avoid what has happened to me. Hi Robert, I was just wondering…when you said that you sold about $50 worth of stuff on Ebay and Craigslist to pay for a premium, do you mean physical items, advertisements, or what exactly? I have seen wealthy affiliate members say in their reviews that they have “sold stuff” on websites such as ebay through this program before so I was curious to know what exactly is meant by this. By the way, I think I am liking the idea of joining Wealthy Affiliate and I hope to try it out soon. Thanks! Laura, what I meant was that I sold actual physical items like used DVD movies, old iPhones, toys, collectibles and many items I had around the house that I no longer needed or used. I would also go to local garage sales on the weekend and buy things for cheap prices that I knew I could flip on eBay for more money. You would be surprised at some of the collectible items people sell for cheap at a garage sale because they do not know of its true value. As for joining Wealthy Affiliate, I would be more than happy to help you out in starting your own affiliate marketing business online promoting any kind of product that you desire. You can make a lot of money from home by just promoting other people’s products on your personal website. And Wealthy Affiliate makes it so easy to have your own ready-to-go website and at a price that is less than a daily cup of coffee. Your review had some key points I have not seen in other reviews. Thanks, I especially like your thoughts on not procrastinating. The first step in changing your life is…..
To change your life! Take action! -The number of Wealthy Affiliates that do not affiliate with other free systems is surprising to me. -Affiliate with Walmart, Puritans Pride, loans, travel,insurance, eBooks, and many more solutions. Sign up for free. -This is a great sight. 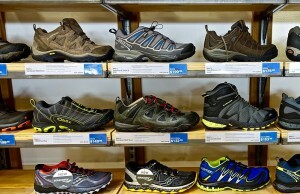 If you already shop at Walmart – shop though your own site and earn money on your purchases. Need a loan, insurance? Earn commissions through your own free site. 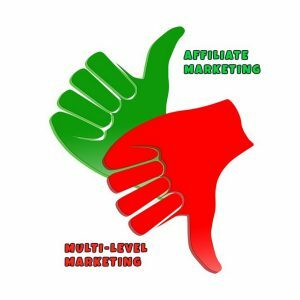 As for an affiliate shopping on their own website and getting money from their own sale, that DOES NOT work and can get you dropped by that affiliate. Hey Robert, what an excellent post. I didn’t know that you got credits for making training at WA. I’ve been tempted to do so at some point as I have had people ask me how I do certain things on my website. A little bit more encouragement for me to do so! Yes Vincent, all Premium members can make training, after they have been a Premium member for a set amount of months, not sure the number of months. But yes, you can earn credits which are equal to dollars. 1 Credit = $1 and there is no limit on the amount of credits you can earn but the training MUST BE QUALITY because you are paid off of the amount of Unique Views from members as well as Likes, Comments, and Shares. Hey Robert, I love all the info here. Wealthy Affiliate has been a great place for me in the time that I’ve been with them and I completely intend to promote Wealthy Affiliate once I have my own niche site up and running smoothly the way that I want it. I don’t see why anyone would choose not to promote WA as it is such a great learning tool with an amazing community that is always there to help you if you get stuck. I found out about it six months before I finally decided to try it and my only regret is that I didn’t start it as soon as I found out about it! I think that is what many members, including myself, have said about Wealthy Affiliate Andrew…that we all wish we had started sooner instead of waiting as long as we did. Now that I have been here about 2 years now, I cannot think of any other place I would rather be. Between the very active and helpful community, the direct access to the owners, the 1-on-1 coaching, the easy training, and of course the different ways to make money, there is no other place online that can even come close to matching what Wealthy Affiliate offers its members! 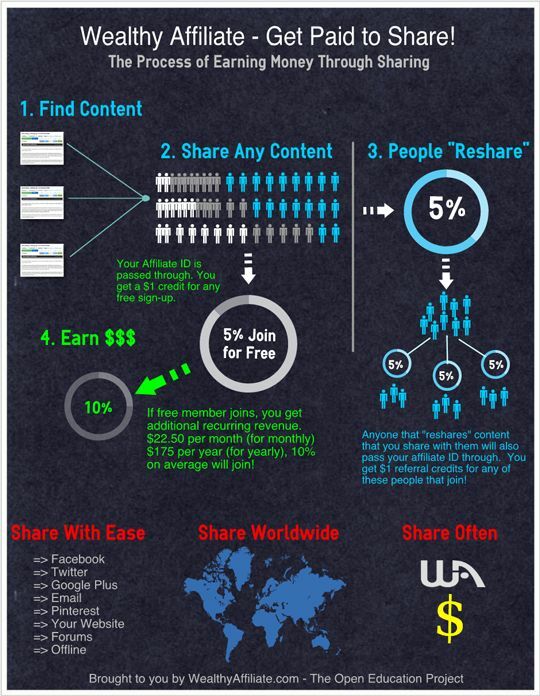 Awesome information about Wealthy Affiliate here! Instead of promoting other programs, I myself would happily promote WA because I know it works and really helpful for those who are beginners. I feel bad if I promote a learning platform that has no value to my referrals. Unlike many others, Wealthy Affiliate has everything we need in one roof. Truly a legitimate online learning platform that works for those who put in the effort. Thank you Edy! Yes, Wealthy Affiliate is absolutely the best opportunity there is for those who are just starting out in the make money from home online type of job. The lessons are structured in such a way that even someone who is not a computer techie can understand them. Because the training is developed by two online entrepreneurs who are currently very active in the practice of making money online, they are well aware of all the current pitfalls and updates to making money online and they pass that information forward to all of the members so they will not have any unexpected problems. This makes it so much easier to make money at Wealthy Affiliate because you do not have to worry if what you are doing will actually work because IT DOES! 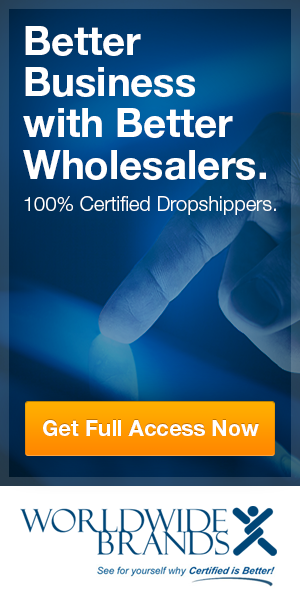 The owners are doing it everyday and if you copy what they do, you can make money too! Thanks for the layout of information. This really has been an incredible community, and I’ve come to realize that it really is easy to get people to join. It’s free and almost everyone could use information on how to earn some extra money. Great post. Exactly Paul. There isn’t many people who would turn down the opportunity to make money when they can do so through a free membership. The fact that the Wealthy Affiliate platform is a training platform and not really a business platform, makes selling it easier since many people are a little put off by online business opportunities. Wow that’s a cool info graph Robert!Out of curiosity, did you make that yourself? Wealthy Affiliate is indeed the best place to go when it comes to learning how to build an online business, I would totally recommend it to anyone who’s willing to put in hard work to get what they deserve! Thank you Riaz but no, I did not make that infograph. I was given permission to use it from Wealthy Affiliate’s art and advertisement department. As for the service, training and community at Wealthy Affiliate, yes it is the best place to be for learning how to build and grow an online business. I agree Alex! It makes logical sense that if something works and it works well because of those who participate in it, then it makes sense for them to share the wealth. Robert, this is such an excellent site! Of all the MMO sites I’ve found through WA, I think this is my favorite so far. Your posts are neat and clean, I love the images. Everything is engaging. My only dislike is your menu color of orange. But that’s not even an issue, just a personal preference. You will go far! Thank you Sarah. I’m glad you like my website, minus the menu color. 🙂 Unfortunately that is the color from the theme template and I cannot customize it, but like you said, it’s not much of an issue. spot on, that is a very clear description of how it all works. great post! Thank you Shannel. That is one of the many things I like about making money with Wealthy Affiliate, both their up-to-date training and their referral program is spot on worth it and a valuable program that makes it easy for anyone to be a success. Great explanation of the program! This is the best program around. Like Neil mentioned, the images put it all in perspective! Great job. Thank you Nick! I always try to use images and videos when I can because they are a fantastic way to get your point across when words are not or do not justify what you are trying to say. You are welcome Randy! There are a few nuances about Wealthy Affiliate that can help a person to make money from home that they may not be aware of and that is the point of this blog post, to offer information on yet another way to earn money. You are welcome David! I am happy you enjoyed it and if you need any other information on how to make money at Wealthy Affiliate, just check out the other information on my website or shoot me an email. Hi Robert! I loved reading your blog post! It’s very clear and well laid-out. It makes me think of adding the WA widget to my website, also. I just have to see how I’ll do that exactly.I shared your post on Google+, so who knows how many referrals you’ll get from me haha. Thanks Muriel. Any sharing is always a good thing, especially on Google+, I do that with others too. Thank you for your kind words and I am happy you enjoyed reading my post. I tried to make it as simple to understand as possible. Great post Rob! I was actually looking for something to promote that actually works and offers something good in return. 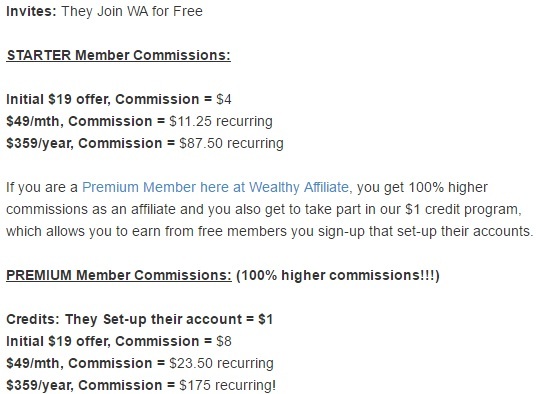 I have heard nothing but good things about Wealthy Affiliate and I know the program works, I just didn’t know they were offering such an awesome commission. This is a great way to kick network marketing to the curb. Thanks for the heads up buddy! You are welcome John! Yes, not only does the Wealthy Affiliate training program work so well but their referral program works just as great and has a very nice commission percentage payout. I promote it for both reasons. Though I know it pays well, I also know that what they can offer to both the newbie online entrepreneur as well as an experienced marketer is top of the line! You have published a fantastic post on how to make money with Wealthy Affiliate, and as an affiliate marketer myself, it’s now urged me to share more useful links with my fiends through the social networks. Thanks very much for the images too because it’s now put things into real perspective for everyone who reads this post. You are welcome Neil. As you probably know already, people are visual by nature and anytime you can add relevant and informative visuals, it helps your website readers understand. Yes, sharing is caring just as much as helping those to succeed just like I am. Thanks for your comment and best of luck in your affiliate marketing career. Thanks for the connection! Learning to make money online isn’t easy as some advertisements talk about. With training like this, it makes more sense for success to come your way. Glad we met, and I really do see how to make money at wealthy affiliate. There is no shame that you would earn a commission for referring people here. You are welcome Damien and yes, it was a pleasure meeting you. Wealthy Affiliate is not just a fantastic place to get the most current education in how to build a website and online business from scratch but you can even earn a residual income at the same time. I don’t know of anyone who doesn’t like those perks about WA. – Thanks for commenting! Training so far at wealthy affiliate is amazing! Kyle and Carson really explain how to make money online very well. From setting up your website, writing content, social networking, SEO, and you name it. Remarkable what I have learned! Wealthy Affiliate is not only the “Real Deal” but it is also the “Complete Deal” in that there is nothing you could possibly need to pay for (except a domain name from a registra) that isn’t already provided within WA. – Thanks for your comment Damien! I agree with the both of you. WA is the complete package with an amazing commission structure. 50% of the sale is a quite generous if you ask me and that’s not the only thing that makes WA amazing. Support, Training, and the Resources you need to start your online business…it almost sounds too good to be true, but it’s all real and an honest place to be. I love WA, you’re recommending a great product/service. Exactly Crisaly! 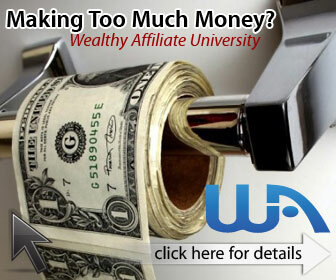 There is no better place ANYWHERE than Wealthy Affiliate. Not only will you learn how to build WordPress websites, build and grow an online business, learn SEO, SMM, PPC, Keyword Research, and other aspects of internet marketing, you will also be among successful online entrepreneurs that are available to help you succeed – FOR FREE! And if all of that isn’t enough, you can earn monthly income as you are learning! There is so much to like about WA! 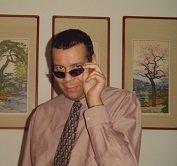 « What is Fetch as Google in Webmaster Tools?